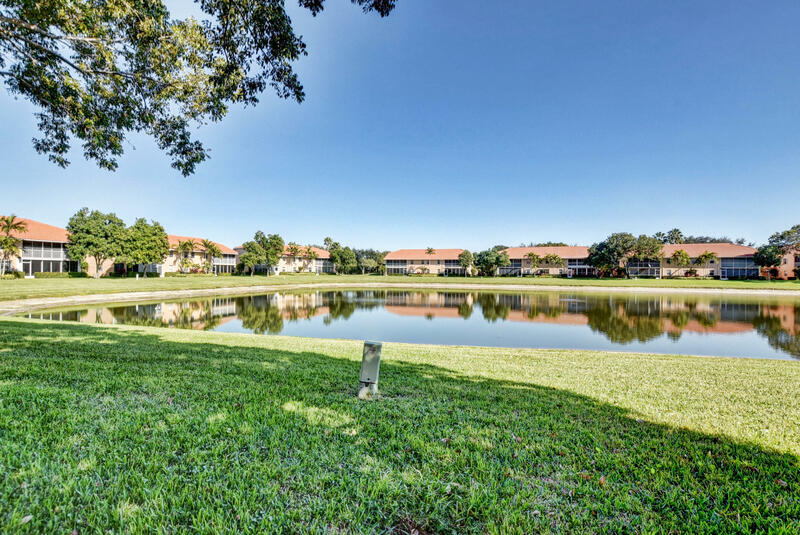 Beautiful and Immaculate Second Floor Condo overlooking Large Lake and Very Close to Clubhouse! Private Elevator- walk in on First Floor and opens to Living Room space. Tile Floors throughout, laundry room between bedrooms for convenience. Lots of storage. Walk In Closet in Master. Two Bedrooms/Two Baths plus Den. Large Glassed In/Screened in Lanai overlooking very serene lake. All located in the Community of Palm Isles with its fabulous Clubhouse. Over 50,000 sq. ft. of amenities including Indoor and Outdoor Pools, 600 Seat Theatre of Performing Arts, 8 Har-Tru Tennis Courts, Lots of Card Rooms, Ceramics, PickleBall, Billiards, Mens and Womens Spa facilities including Exercise, always something to do. Even a Cafe for Breakfast and Lunch. This is the place to Be!